The Japanese conglomerate’s Vision Fund is pumping $2.5 bln into online retailer Flipkart, rendering its parent’s near-$1 billion punt on rival Snapdeal largely worthless. It’s the group’s latest big-ticket fail on an Indian startup. This is venture capital on an epic scale. 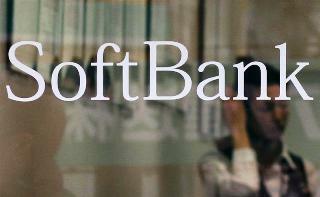 An employee works behind a logo of Softbank Corp at its branch in Tokyo March 2, 2011. Last Wednesday, Softbank priced its huge ¥200bn (US$2.6bn) perpetual callable preferred securities offering. The perps were fixed at 2.04%, at the lower end of 1.70%–2.70% guidance. SoftBank's Vision Fund agreed to invest $2.5 billion in Indian online retailer Flipkart, a person familiar with the situation told Reuters Breakingviews on Aug.10. The investment is a mix of new and existing shares, the source added. On April 10, Flipkart announced a $1.4 billion fundraising from Tencent, eBay, and Microsoft, valuing the business at $11.6 billion. Other Flipkart investors include Tiger Global Management, Naspers, Accel Partners, and DST Global. On July 31, rival retailer Snapdeal said it had decided to remain independent and was ending all talks regarding a sale. Reuters reported that Flipkart had offered to pay $950 million for its rival.